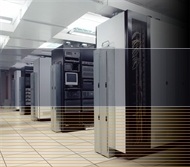 Data Recovery of most raid arrays and raid server drives are completed in 24-36 hours. Raid 0, Raid 1, Raid 2, Raid 3, Raid 4, Raid 5, Raid 6. DataRecovereyNAS.com uses the latest hardware and software technologies to recovery multiple raid array hard drive failures. DataRecovereyNAS.com provides Raid Data recovery, worldwide, for servers, workstations, network storage devices and usb mass storage devices configured in Raid 0 , Raid 1, Raid 1-0, Raid 5, Raid 5 E, Raid 5 EE. We provide data recovery for SCSI, IDE, Sata and ESata hard drives that have been configured in any Raid Array. When multiple raid configured hard drive arrays fail, special software, hardware and knowledge is required to successfully recover your data. DataRecovereyNAS.com understands the importance of your electronic data and the need to keep your business network operational. Our technicians have a combined 57 years experience in raid data recovery, raid configurations, raid controllers, server installation and maintenance. DataRecovereyNAS.com maintains two Facilities. The first is located in the Tampa Bay Metro area and the second in the Washington, D.C. Metro area. Although the majority of our Raid NAS Data Recovery services are handled at one of our two facilities, via use of overnight Fed-x, UPS, Purolator or DHL, our technicians are available for on site Data Recovery for special need cases. NAS Data RECONSTRUCTION Recovery from hard drives configured in Raid 0, Raid 1, Raid 1 – 0, Raid 10, Raid 3, Raid 4, Raid 5, Raid 6, ZFS Raid Raid 5e, Raid 5ee, raid 15, Raid 6E,Raid 1.5, Raid 7, Raid-DP, Raid S, Matrix Raid, Raid-K, Raid-Z, Raidn, Linux MD 10, IBM ServeRaid 1E, unRaid, Drobo BeyondRaid. Recovery or repair of corrupted Exchange server Database files should never be attempted from the original hard drive or raid array without having a verified complete back up of the original files. Attempting to repair a corrupted MS Exchange data base with third party software can result in permanent loss to the data. Call one of our techs to discuss the safest possible recovery of your Exchange Database.